Hitting the Road This Summer? How to Save on Gas. 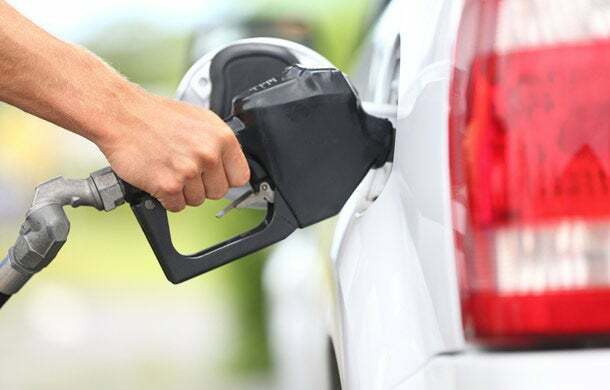 With average gas prices around the U.S. edging closer to $4, the summer driving season will likely mean bigger expenses for families hitting the road on vacation. The good news is that hot weather can actually reduce a vehicle's fuel consumption, if drivers follow some basic tips. One common mistake drivers make in the summer months is how they cool down their vehicles. Although the heat allows a car's engine to warm up faster, requiring less fuel for drivers to get moving, they still need to think about ways to keep the passenger compartment cool without putting the air conditioning on at full blast, experts cautioned. "Under very hot conditions, A/C can reduce a conventional vehicle's fuel economy by more than 25 percent," according to new guidelines posted on Fueleconomy.gov. The impact of running the air conditioning in a hybrid, plug-in or battery-electric vehicle can be even larger on a percentage basis, the website notes. Although many think that keeping the windows down is a good way to cut down on the cost of running the car's A/C, it's not the most efficient means, experts noted. That's because today's vehicles are designed to maximize aerodynamics—meaning the added drag of leaving the window open, particularly while on the highway, is likely to use more fuel than running the A/C. To increase fuel efficiency, the Department of Energy says opening the windows to let out excess heat when starting the car is more efficient than trying to cool down what is essentially a greenhouse. To save fuel, drivers should kick the A/C on after the engine is running and the cabin's been aired out, as air conditioning is usually more efficient when the vehicle is moving. When parking, look for a spot in the shade, or get a sunshade that can reflect or block the sun's rays. For owners of plug-based vehicles, such as a Nissan Leaf or Chevrolet Volt, chances are the cabin will be precooled (and preheated during the winter) while it's still connected to the charger. That not only means the vehicle will be pleasant to climb into, but its range will also be maximized. Also, using a warmer temperature setting for the A/C will use less battery power, Fueleconomy.gov noted. Whatever time of year, the website says driving sensibly—namely, at or under the speed limit—can improve a car's mileage as much as 33 percent. Coasting to a stop, rather than slamming on the brakes, also helps—and it pays off to start out smoothly, rather than making jackrabbit starts when the light turns green. Tires can have a substantial impact on mileage—by some estimates, as much as 10 percent of the car's fuel economy. AAA recommends regularly checking a car's tires to ensure they're at the pressure recommended by the manufacturer or tire maker. It's best to check in the morning, before temperatures rise and pressures increase. Road friction also increases pressure, so drivers should check before they begin their commute or start running errands. And, of course, it pays to compare fuel prices. Warehouse clubs and grocery stores often have some of the best deals.